Saying that the Vegas trip to the IPL4 and GSTL finals hosted at the super-glam Cosmopolitan was a success would be a huge understatement. I finally got to put faces to the hundreds of people I chat with on a daily basis, met new friends and potential business partners. The marble floored group entrance area at the Cosmopolitan of Las Vegas – welcome to luxury! Chatting it up with IPL, GSL, Blizzard Ent., RIOT, AMD staff, team owners, documentary makers, and members of the press. We’re all in it together! Watching the photographers from TeamLiquid sort and qualify thousands of potential shots at blistering speeds and then running back out loaded with tons of gear to get more shots. Giving one of my casino credit stubs to a bare-footed editor that was tirelessly working throughout the entire event. Hopefully he gets more personal time next time! Bumping into Brett Sperry, co-founder of Westwood Studios, while hunting for art galleries. Although he’s retired from the video-gaming industry he runs a lovely art gallery, if you’re going to Vegas and love art – do go check it out! 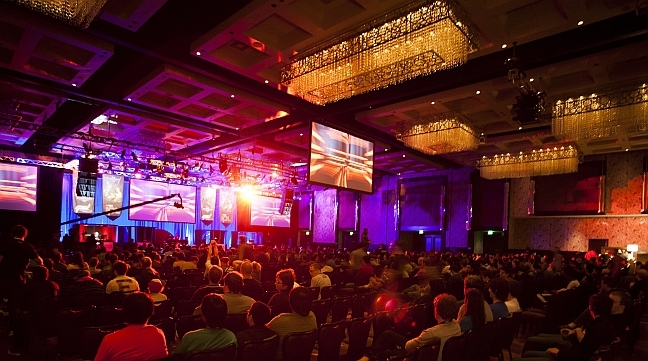 Can’t wait for the NASL season 3 finals in Toronto, and upcoming MLG and IPL events – THIS IS ONLY THE BEGINNING FOR US.